Deutsche Gesellschaft für Namenforschung e.V. 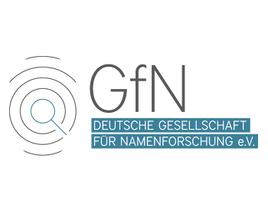 (German Association for Name Research eV) has announced a call for papers for their next conference, “Names in motion: Adaptation processes of person and place names in areal, diachronic, and social fields of tension”. The conference will be held at theUniversity of Münster, Germany, September 11-13, 2019. As proper names refer directly to individual objects, they crucially depend on stable, fixed relationships between form and referent. However, such fixed references open up fields of tension when contexts change for people who bear and use the names. Changing contexts may prompt names to be formally adapted, meaning that – at least temporarily – names may lead a double life. The aim of this conference is to identify factors that motivate, condition, and constrain adaptation processes of person and place names to changing or varying circumstances. As most of the proposed topics and questions are best addressed from a multidisciplinary perspective, contributions and approaches from social scientists, culture geographers and other disciplines are also welcome, in addition to linguistic-onomastic approaches. Talks (20 minutes + 10-minute discussion) or posters can be presented in German or English. The deadline for abstracts is 30 April 2019. Find out more at the conference home page. A downloadable version of the call for papers, in English, can be found here.